This is a three-bedroom waterfront log cabin that was originally constructed in the 1930's. The waterfront location on a point, with both east and west views, have made it one of our most popular accommodations. 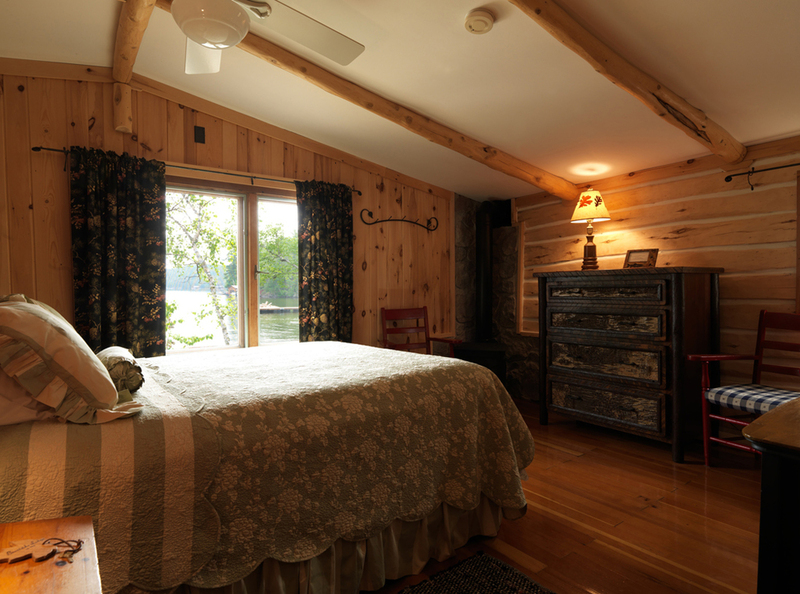 The interior is a combination of log and knotty pine with slate and wood floors. You first enter the great room which is your cooking, dining and sitting area. The kitchen has a full-size refrigerator (with freezer) cooktop stove with oven and microwave. It is equipped with a coffee maker, toaster, pots and pans, dishes, wine glasses and utensils for six guests. A charcoal barbecue is located outside the cabin. A sofa and occasional chair provide a comfortable sitting area. For cooler days or evenings you'll enjoy the free standing gas stove that provides great heat and ambiance. The master bedroom has a queen bed, private bath with tub and shower. A second (smaller) bedroom has another queen bed, the third bedroom has two singles. The second bath is accessed off the hall way and has a walk-in shower. Docking for a boat is immediately outside the cabin. 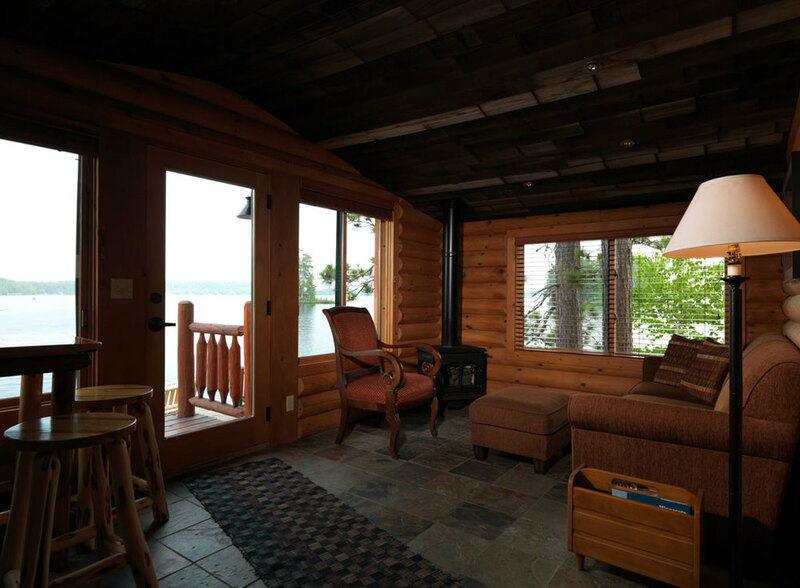 You'll enjoy beautiful sunrise and sunset views as well as watching the loons who nest on nearby islands. The 2019 rate is 3,771.00 per week, when available by the day, $ 593.00.